Last Cab To Darwin was released in cinemas earlier this year and the response from the Australian public has been far greater than we could ever have expected. ​Having surpassed $7million at the Australian box office, Last Cab To Darwin has recently had its international premiere as part of the Toronto Film Festival and received an ARIA nomination for its original soundtrack. In LAST CAB TO DARWIN, Jeremy Sims (Beneath Hill 60) directs Australian acting legends, Michael Caton and Jacki Weaver against the backdrop of the stunning Australian outback and alongside the outstanding Mark Coles Smith, Ningali Lawford-Wolf and Emma Hamilton. 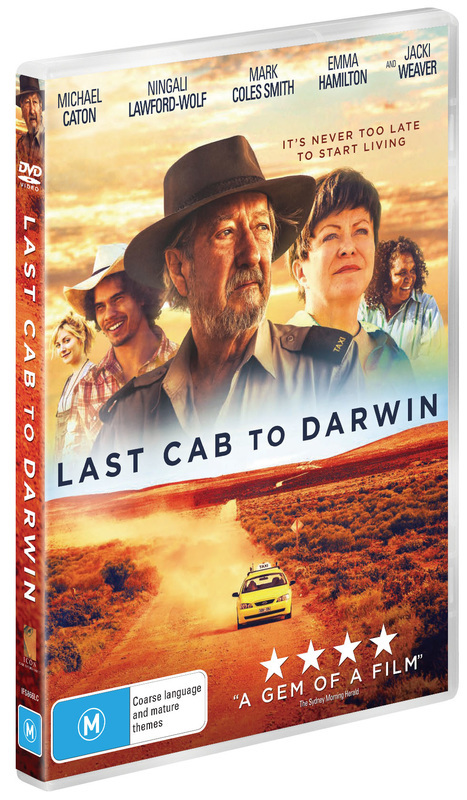 Caton gives the performance of a lifetime as Rex, a Broken Hill cab driver who, when told he doesn’t have long to live, sets out on an epic journey to Darwin in a bid to die on his own terms. Along the way he discovers that before you can end your life you have to live it, and to live it you have to share it. Filled with hope, humour and heart, LAST CAB TO DARWIN takes us on a journey, reminding us that it’s never too late to start living.